Last week, our family was all together again. It was divine. 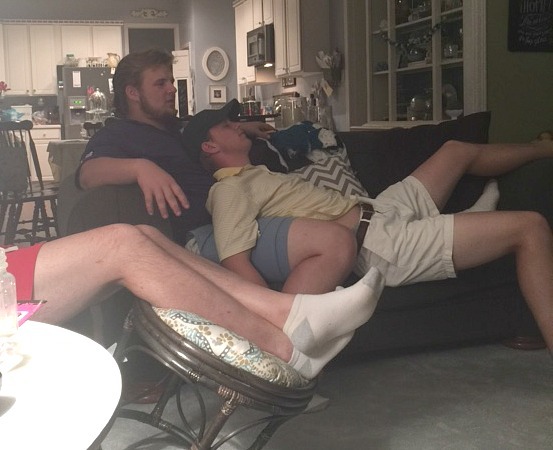 For this mother’s heart, I never realized just how much I would miss my big boys when they were gone and now the moments we have together are priceless. Two that treat her as a princess are home. Who wouldn’t miss that? I agreed with her sentiment, but also know it’s a passing of the baton period and this is our new life. I think back to the years of hour long wrestling matches, arguing during King of the Hill, gross bathroom moments, more bodily noises than I knew existed, permanent marker masterpieces on the wall, pillows destroyed, bunk beds whittled with graffiti, more arguing, fighting and a few near misses. So many moments that questioned my sanity and yet I realize how pivotal those moments were to becoming the men they are today. I often get asked how our kids are so close, but really, I think they wonder more about the boys. Girls naturally gravitate towards community, guys don’t and for many personalities, it needs to be modeled, insisted upon, instilled and quite frankly, drilled from an early age. 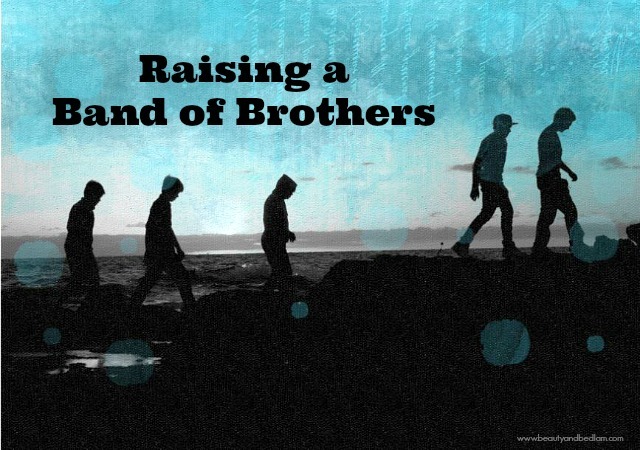 Raising a strong band of brothers is no easy feat. The desire to knit their hearts together into something that can’t be rivaled seems simple in theory, but the heart execution takes a lifetime. It’s the mentality that your friends will come and go, but your brothers (your sisters, your family) will always be there for you no matter what. To raise your children as best friends is SO worth it!! To install that love of family first, even when they don’t get it, don’t like it, fight you on it and would MUCH rather have their peer friend along on the family beach trip rather than their brother, is still worth every minute! There will be times when that sentiment seems impossible. As hateful words are slung and those poisonous word arrows make their mark, you’ll wonder if this elusive band of brothers is just something movies are made of. Trust me, the fight is worth it! Real life is worth more than any scripted reel – our heart senses are awakened and the tangible reminders erupt in real life 3D. Our third son celebrated the big 18 yesterday. Our stair steps boys are now 18, 19 and 21 and we’re still working on this. Does it ever stop? Do we ever stop pouring into relationships? 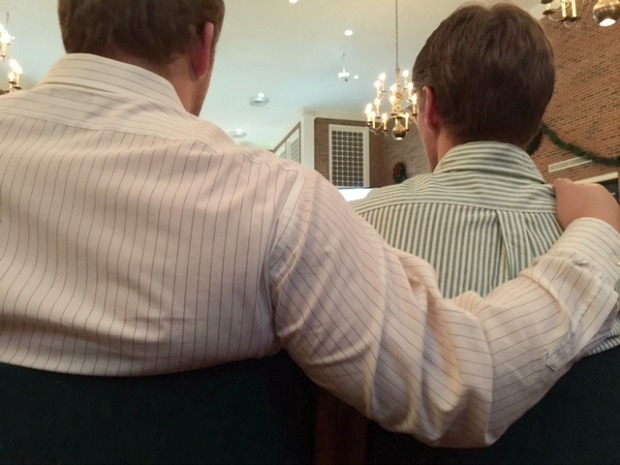 There are still moments of sheer exhaustion and since often those moments intertwine with pivotal life changing type of decisions, those intentional moments matter a whole lot, but in them, we’re seeing the first fruits of boys becoming men, siblings becoming a true band of brothers and brothers becoming best friends. I can’t even begin to tell you how amazing it is. I realize that this may be a difficult read for many of you. Goodness, it was just National Siblings Day (never knew about that before this year’s FB, but regardless…) I read some heartbreaking updates filled with hurt and hate. I know this touches on a sensitive spot with those who have severed relationships with their sibling and you have a lot of rebuttal points to make on this topic. I get it. It’s a painful. There are no easy answers or quick fixes, but right now, this post isn’t about you. It’s about our kids and starting a new legacy.While there are no guarantees with any kind of relationships, they sure are worth fighting for at all times. The past is behind and I think we can all agree that we desire these kind of relationships for our kids. Yes, quite possibly the kind you never had. I don’t have any easy answers, but I do have more thoughts. 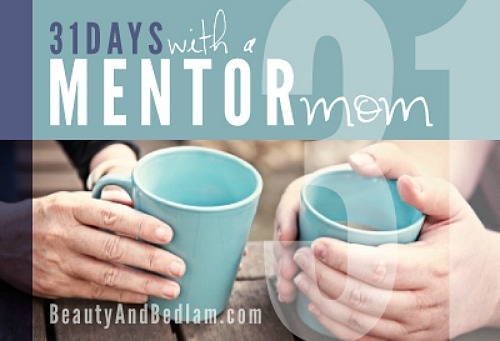 Read more from 31 Days with a Mentor Mom. I pray this will be my boys some day. Looking forward to the next part. Love this, Jen! I am one of those with a, severed isn’t quite the word – maybe strained? relationship with my brother. 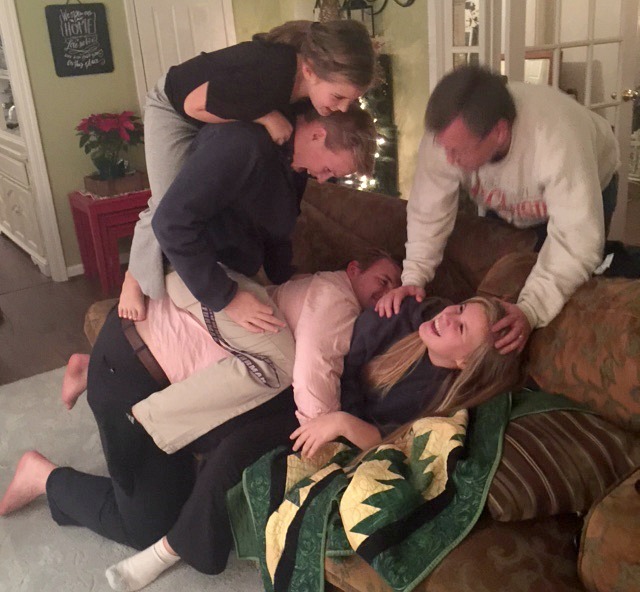 My husband is an only child. So, we are doing what we can to ensure our boys stick with each other through thick and thin. Excited to read your thoughts! I see glimpses of this “band of brothers” with our 17, 15, 12 and 9 year old and I love it! I hope they will continue in their close relationships in the years to come. Look forward to hearing your thoughts on how to encourage these relationships. Such a great read! 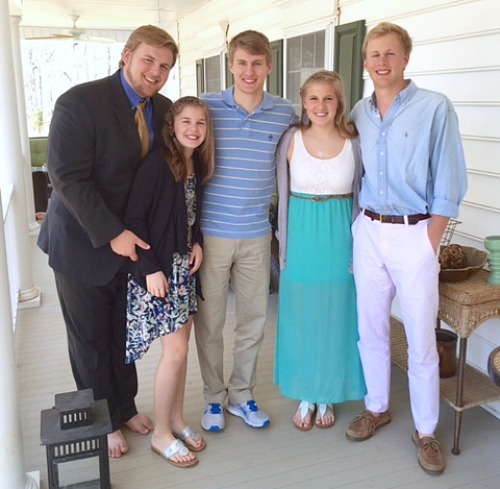 My biggest prayer is that my children will continue to be very close after they leave the nest. I cannot wait to read more of your thoughts on this topic. I have not ever read any of your post before, but the timing is perfect for me!! I am at the same stage of life as you are. It has been a beautiful struggle allowing my boys go out the door to adulthood. I have many of the same sentiments as you. I have three boys ages 21, 19, and 17, then 2 girls, 16 and 11! Love them coming home and sitting around the table talking. I always say (with tears in my heart) go where ever the Lord leads you, just come home to see me! Thank you for writing this for me to read today. I actually was praying this morning about blogs that had to do with my stage of life, I see a lot of them for moms of young children. Love how God works!! Mine are 10.5, 9, and 7. You described my reality with the wrestling, rude noises, cruel words, but also moments of sweetness (not as greatly concentrated as I’d like, but they’re certainly there!). I’m staying tuned for part 2! I teased this the other day and your pictures made me cry Jen!!! You boys are exactly the ‘band of brothers ‘ (LOVE the term!!) I am praying I am raising!!! Wish my three were this close. They are 15 and 12 (twins). But sadly, the older one does not talk or interact at all with his twin brothers and the twins have a love-hate relationship with each other. One has Asperger’s, and, although he is high functioning, he still acts very immature for his age. The other twin is just moody and is embarrassed by his twin. I just hope one day they will snap out of it and realize they are a band of brothers. Love your pic of your one son laying on his brother. Priceless. @Joy, I bet if you look closley you will see that both brothers look out for their brother with Asperger’s. When my daughter and my stepson were in the same grade together in middle school she looked out for him in ways that he never knew about and she got sent to detention ( not that I am advocating that, but no one messed with her brother, but her) We stick with our people! some are invited in some we are born with, but I bet if you look from a diffrent perspective you will see it is already there.